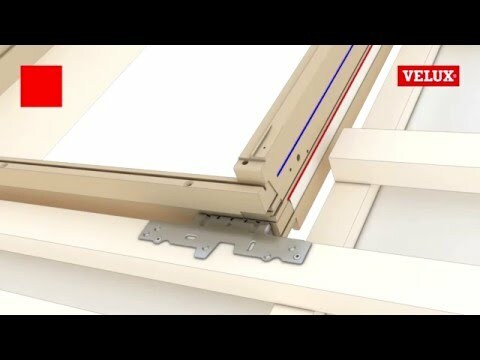 VELUX's flagship glazing comes with a laminated inner pane for safety and makes it ideal for above head height installations. VELUX white PU roof windows consist of a wooden core encased in moisture-resistant white polyurethane; the first choice for humid rooms such as kitchens and bathrooms. They are maintenance-free, which is ideal for out-of-reach areas, and their special, heat-treated timber core delivers improved insulation. The --70 pane consists of a laminated inner pane for safety purposes and makes it ideal for above head height installations. If an object was to hit the window with force, the glazing would hold in place, much like a car windscreen, until you're able to get it fixed. Put fresh air at your fingertips with a centre pivot VELUX roof window. A centre pivot roof window is easy to operate - even with furniture beneath. We recommend centre pivot windows if you have to, or wish to, place your window in a low position, for instance: in rooms with a low ceiling or where you’d like a better view of the surroundings below. Centre pivot roof windows can dramatically change a room. They’re the fastest way to add natural light, ventilation and the feeling of openness to your under roof spaces. The impact in terms of daylight and fresh air, not to mention the view, is stunning. 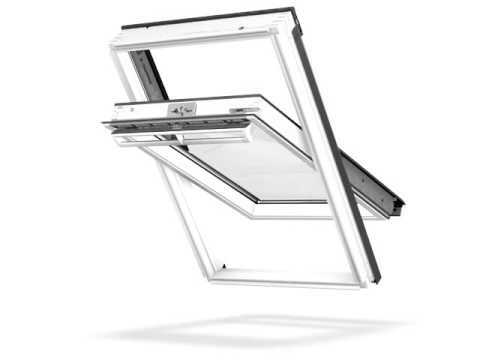 We can deliver the VELUX GGU CK02 0070 White PU Laminated Centre Pivot Roof Window 55x78cm next day on our own vehicles, enter your postcode to see if you are in our servicable area.